For most people, bitcoin faucets are a waste of time. You will earn very little bitcoin and most people never earn enough bitcoin to make a withdrawal. If you want bitcoin you are better off buying small amounts of bitcoin overtime. Here are a list of websites that make it easy to invest small ammount of money into Bitcoin. A bitcoin faucet is website that will give anyone a small amount of free bitcoin. 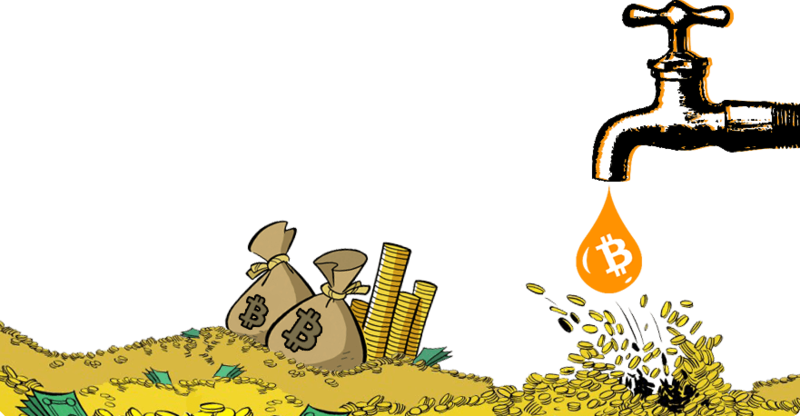 If you have a bitcoin address, you can use a bitcoin faucet to get free bitcoin! The amount that each bitcoin faucet pays varies, some pay hourly, some weekly. Most bitcoin faucets ask you to fill out a captcha or watch a short video advertisement to stop malicious individuals from draining the faucet of all its bitcoin. If you don’t have a bitcoin address, you can get one for free at Coinbase. No, but they are not a good way to make money either. Faucets give tiny amounts of btc that fluctuate according to the value of bitcoin. Typical payout per transaction is less than 1000 satoshi, although many faucets have random larger rewards. Normally faucet saves up these small individual payments in its own ledger, and they add up to make a larger payment that is sent to your bitcoin address. This is to reduce mining fees Some faucets use immediate off-blockchain transactions, which have no fees.